ITPEnergised (formerly IT Power Consulting) is assisting the World Bank and Vietnam’s publicly owned electricity company, EVN, in the development of a 126MWp solar farm at the Tri Ann hydroelectric power station north west of Ho Chi Minh City. A proportion of the PV modules will be mounted on floating supports on the reservoir, forming Vietnam’s first floating solar installation. In February, ITPEnergised accompanied the World Bank on a project mission to the power station to assess the potential site and review the feasibility work carried out by EVN. 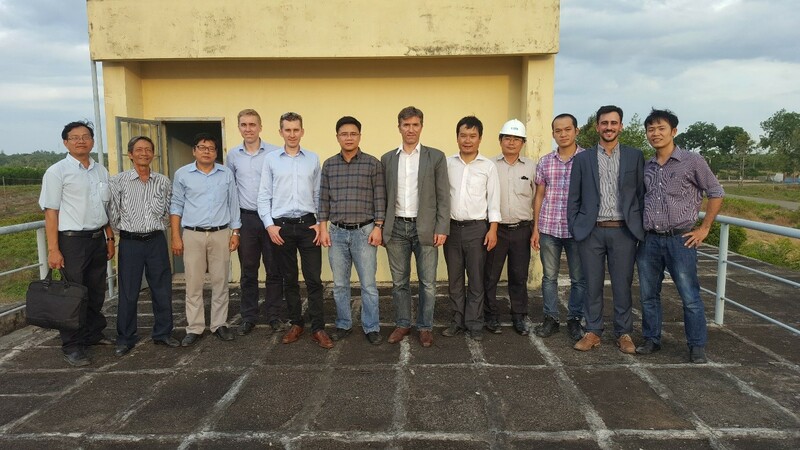 ITPEnergised continues to assist with the floating solar development and engineering, in addition to supporting the World Bank on a Vietnam wide solar development programme. The floating PV sector is undergoing significant growth globally with a number of multi-MW installations already commissioned, and hundreds of MW in the pipeline. Floating solar offers a land neutral solution with installation costs that can be comparable to more traditional ground mounted solutions; performance of the PV modules is also increased due to the cooling effect from the water lowering the temperature of the modules and increasing their efficiency.